Sister Kathleen Brabson, a beloved Sister of Saint Joseph for 54 years, entered eternal life at Saint Joseph Villa on January 23, 2019. Kathleen was born in Brooklyn , New York to Audrey and Tom Brabson, but Philadelphia was “home” for most of her life. Kathleen was devoted to her family—her parents, her siblings John, Patty, Audrey and Angel, and to all her extended family of in-laws, nieces, nephews, grandniece and grandnephews. Having graduated from Cecilian Academy, Kathleen entered the Sisters of Saint Joseph in 1965. At reception she received the habit of the Sisters of Saint Joseph and the religious name Sister Thomas Audrey. She graduated from Chestnut Hill College and Villanova University and also attended Fordham University. Sister Kathleen was dedicated to her ministry of education. She was an outstanding teacher in both elementary and secondary schools in the Philadelphia, McSherrystown and Wilmington areas. Students, parents, colleagues remember her loving care and her teaching, not by what the curriculum called for, but rather by how she lived her life. 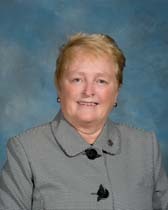 In 1994 Sister Kathleen became Dean of Student Affairs at Mount Saint Joseph Academy and in 2005 President at the Mount. She will be remembered for so many outstanding qualities—her graciousness toward all people, her care for her students, her sense of humor, her loyalty, her prayerfulness. Kathleen could laugh at herself, and she made things look easy, but she also questioned, analyzed, prepared, planned, and worked hard to make things happen. Building on the blessings and accomplishments of those who preceded her at the Mount, Sister Kathleen collaborated with the Board of Directors to fund new programs and improvements, and especially to make education at the Mount accessible to as many young women as possible. She consistently acknowledged the action of a good and gracious God in her own life and in the lives of those she met along the way.